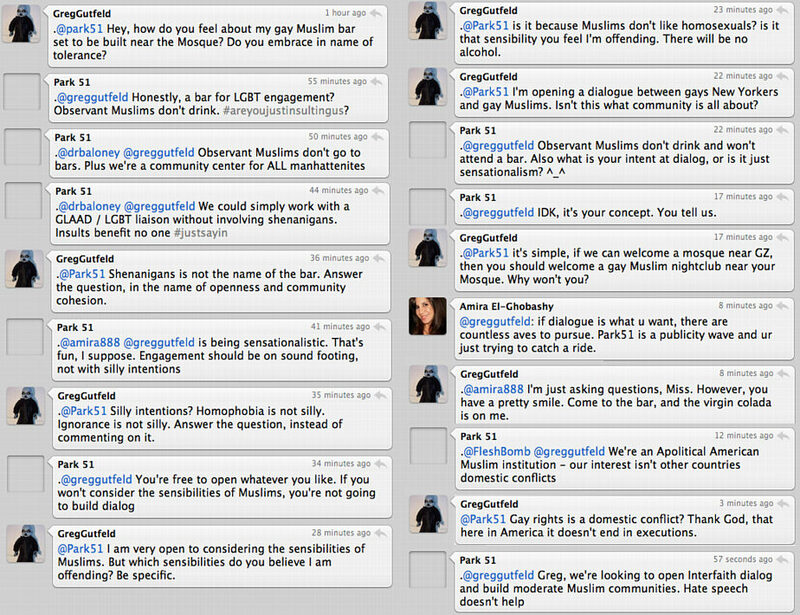 Gutfeld debates gay bar w/mosque proponents. Monday’s numbers: Bill-Hannity-Beck 1-2-3. CNN craters. Punditry problem: too prosperous? Turk gets work. Weekend numbers: Freedom Watch #1. Familiar Fox-hater cry. The case for Park & Spit (via TVN). Ooh, that’s scary! Or not? Rendell to FNC? New frontiers in polling science. FBN loses right wing.